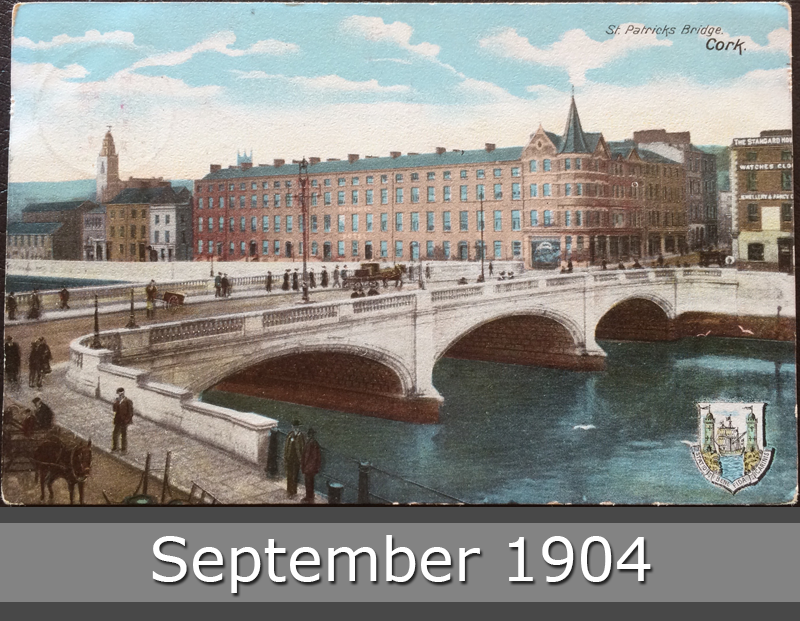 This is the St. Patricks Bridge in Cork in year 1904. In this time, Cork and Ireland was part of the UK. 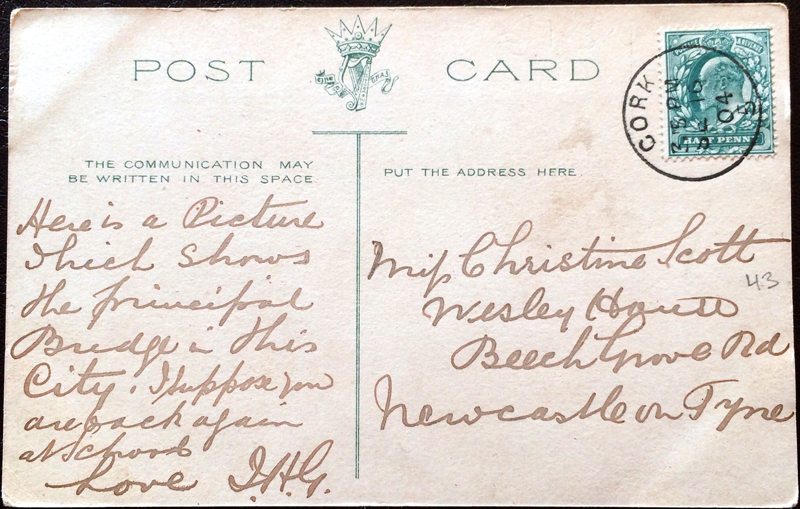 You can see it on the stamp from Great Britain.